Long before Act 101 was passed in 1988, the County of Delaware and its residents considered recycling important to our environment. Recycling has never been just a matter of placing your papers, bottles, and cans in your recycling containers. 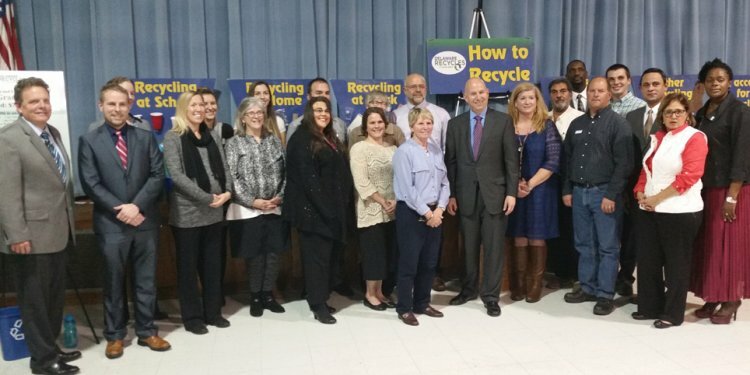 Delaware County residents believe strongly in the three R's Reduce-Reuse & Recycle. As a result, Delaware County maintains a Compost Farm; operates an igloo program where residents can bring clear, green and brown glass, bimetallic and aluminum cans as well as plastics #1 and #; hosts Household Hazardous Waste (HHW) Collection Days; provides recycling education to schools; provides technical recycling assistance to municipalities; and actively looks to link businesses that produce products made with recycled materials to end users. It is suggested that prior to going to any of the vendors listed in this guide, that you call and verify the hours of operation and if there is a charge for their service.